When completed, this form needs to be printed, signed and returned to the SBCI via email or post. This application form relates to certain eligibility criteria for the SBCI Brexit Loan Scheme. Other eligibility criteria set out in the terms and conditions of the SBCI Brexit Loan Scheme (https://sbci.gov.ie) also apply. This is not a guarantee of credit approval. Approval of a loan under the SBCI Brexit Loan Scheme is at the discretion of the relevant finance provider. Please note: This application form contains mandatory binding declarations regarding eligibility for this scheme. If a false or misleading declaration is made, or if false or misleading information is provided with this application, it may lead to a demand for repayment of any sums advanced under this scheme by the finance provider and to any state aid received being recovered with interest. Please note that (1) an up to date business plan must be provided to the finance provider(s) when applying for an SBCI Brexit Loan Scheme and (2) in certain instances, documents must be provided to the SBCI with this application to evidence compliance with eligibility criteria as detailed in the section ‘Innovation Criteria’ below. Please note that all declarations, business plans, and documentation can be audited by the European Commission and other bodies as part of periodic audits of European support schemes. Further details shall be provided in the terms and conditions to any loan made available under the SBCI Brexit Loan Scheme. The SBCI Brexit Loan Scheme is offered in partnership with the Department of Business Enterprise and Innovation, the Department of Agriculture Food and the Marine and is supported by the InnovFin SME Guarantee Facility, with the financial backing of the European Union under Horizon 2020 Financial Instruments. The borrower satisfies one of the Brexit Criteria and one of the Innovation Criteria at the time of this application. 1. Export products, services or raw materials to the UK (including Northern Ireland) equating to at least 15% of business turnover. 2. Import products, services or raw materials from the UK (including Northern Ireland) equating to at least 15% of business turnover. 3. The combined exposure (of 1 and 2 above) equates to at least 15% of business turnover. 4. The business is indirectly exposed to the UK (including Northern Ireland) i.e. transacts products, services or raw materials with an enterprise that is directly exposed to the UK (including Northern Ireland) equating to at least 15% of turnover. The definition of research and innovation is broad and encompasses not only technological innovation and research in products but also research and innovation relating to organisational, marketing and process improvements. Innovation can also be incremental particularly in low and medium technological companies leading over time to production efficiencies, product and marketing differentiation. If you are unsure which criterion applies, please see the case studies for examples. Please note that an up to date business plan will be required to be provided to the finance provider(s) in all cases when applying for a loan. 1. At least 80% of the Scheme Loan will be spent on research and innovation activities with the remainder on costs necessary to enable such activities. Evidence required from applicant: The business plan given to the finance provider must reflect the details of the expenditures and activities to be undertaken. 2. You intend to enter a new product or geographical market, and the required investment is higher than 50% of average annual turnover in the preceding 5 years. Evidence required from applicant: The business plan given to the finance provider must reflect details of the expenditures. 3. You will have registered at least one technology right in the last 24 months and the purpose of the loan is to enable use of this technology right. Evidence required from applicant: Evidence of technology right e.g. patent, utility model, design right, protection certificates. 4. You are an SME and research and innovation costs represent at least 10% of total operating costs in at least one of the last three years preceding this application, or in the case where there is no financial history, as per current financial statements. Evidence required from applicant: Costs to be certified by an accountant practising in the Republic of Ireland. b. at least 10% per year of total operating costs in the three years preceding this application. Evidence required from applicant: Costs to be certified by an accountant practising in Republic of Ireland. 6. You have been awarded a Research and Development or Innovation prize by an EU Institution or EU Body over the last 24 months. Evidence required from applicant: Appropriate evidence of prize. 7. 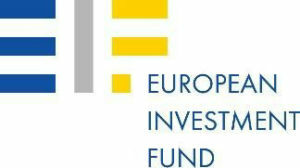 You have received a grant, loan or guarantee from a European research and innovation scheme (e.g. Horizon 2020 or FP7) or regional/national research or innovation support scheme in the last three years, and are confirming that the loan is not covering the same expense. Evidence required from applicant: Appropriate evidence of the grant, loan or guarantee. 8. You are an early stage SME and have received an investment over the last 24 months from a venture capital investor or business angel. Evidence required from applicant: Appropriate evidence of the investment to be provided. 9. You intend to use the loan to invest in producing, developing or implementing new or substantially improved products, processes or services or production or delivery methods (including business models) that are innovative, and where there is a risk of technological, industrial or business failure as evidenced by an external expert. Evidence required from applicant: The business plan must demonstrate those risks of failure and evaluated by an external expert e.g. an accountant, engineer, the finance provider. 10. You are a “fast growing enterprise“ operating for less than 12 years with an average annualised employee or turnover growth greater than 20% a year, over a three-year period and with ten or more employees at the beginning of that period. Evidence required from applicant: Evidence to be certified by an accountant practising in Republic of Ireland. 11. You are operating in a market for less than seven years and research and innovation costs represent at least 5% of total operating costs in at least one of the three years preceding the loan application or in the case of an enterprise (and particularly a start-up) without any financial history, according to current financial statements. Evidence required from applicant: Costs to be certified by an accountant practising in Republic of Ireland. Company Registration No. / VAT No. It is necessary for the SBCI to process certain information (including personal data) to process your application. I confirm that I have read and acknowledge the SBCI Data Protection Notice. I am aware this scheme is being offered by the Strategic Banking Corporation of Ireland in partnership with the Department of Business, Enterprise and Innovation, the Department of Agriculture, Food and the Marine and with the support of the European Investment Fund and I confirm that the loan will not be used in contravention of any of the terms and conditions of the scheme, (https://sbci.gov.ie) which I have read and understand. Please note: None of the information contained in this form is saved by the SBCI. When completed, this form needs to be printed, signed and returned to us via email or post.